Hi All! I've got a bright and sunshiny birthday card to share...I figured with all the rain and clouds maybe this would bring some good weather our way! If it doesn't then I'll just have to keep things bright and cheery in my craft room till the weather decides to cooperate :) Luckily the challenge over at Papertake Weekly is Lemon Zingy so that gave me a great place to start and although I don't find myself reaching for yellow very often I do love it and what it can bring to a card- and it really seemed to work well with my image Dahlia from The Greeting Farm. I used the sketch from Sketch Saturday which broke me out of my rectangle image rut and got me into circles- so fun! I've also added a few gems, one that perfectly fits as a flower on the image, and some Stickles around my sentiment which fits the One Stitch at a Time Challenge for Glitter & Gems and I'm pretty excited because it's my first time entering their challenge. Now it's just a matter of waiting to see if the weather take it's cue from my card! Adorable card, love the design and colors. Thanks for sharing with us at OSAAT. 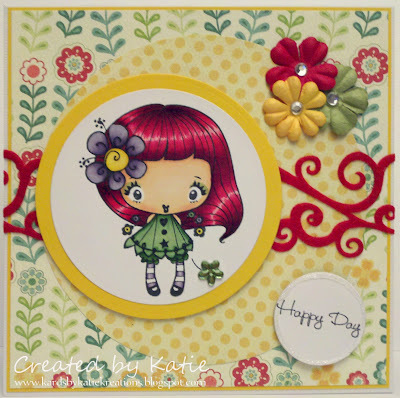 Gorgeous card,such a cute image and i love your colour scheme....a great take on the sketch....thanks for joining us this week at Sketch Saturday. 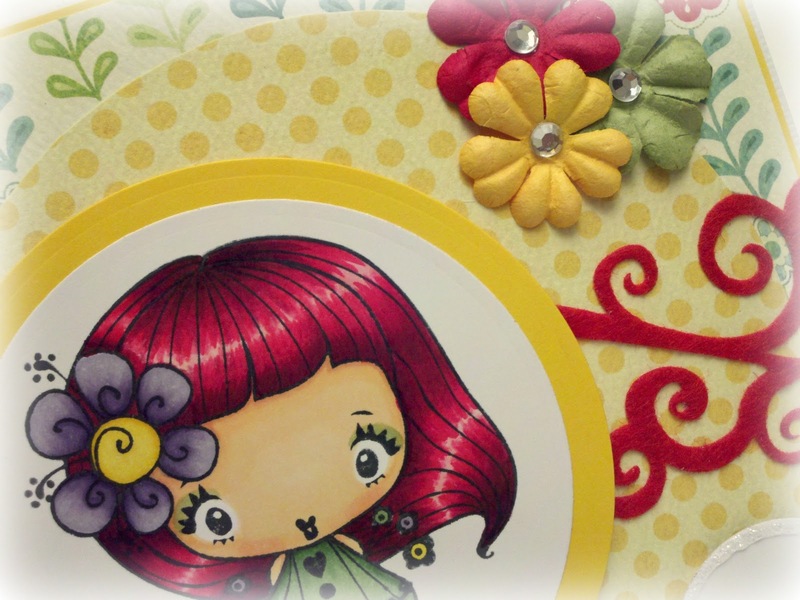 What a fabulous project, thank you so much for entering it in the SFTW challenge this time. Good luck!